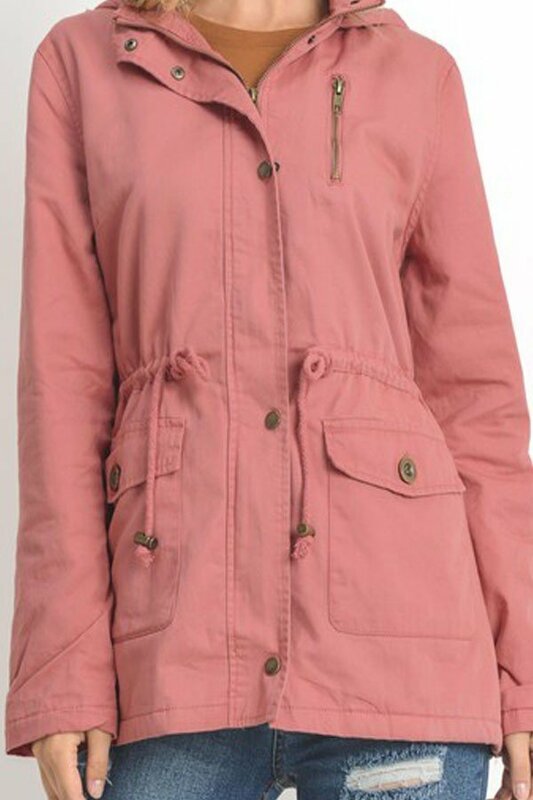 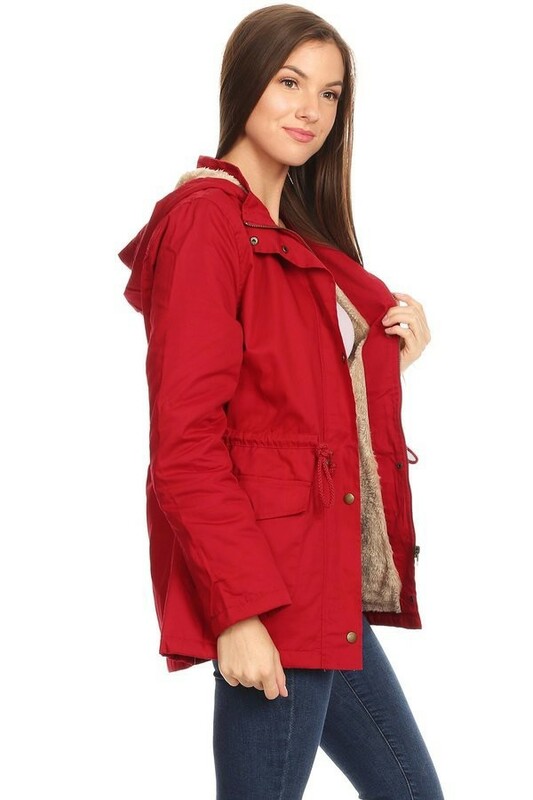 Description: Solid, hip length jacket in a loose fit with lined faux fur. 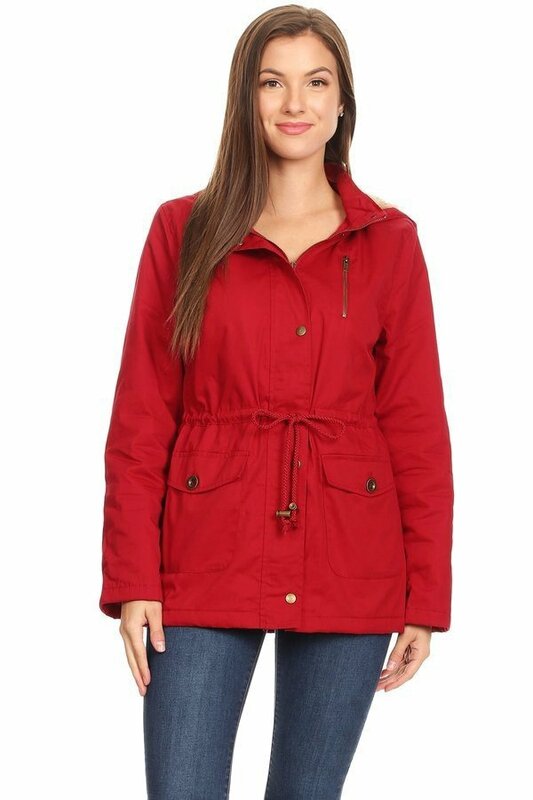 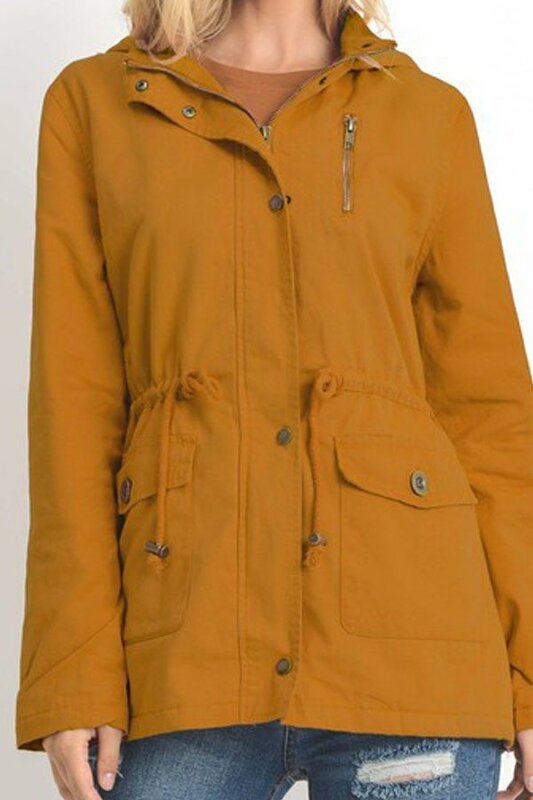 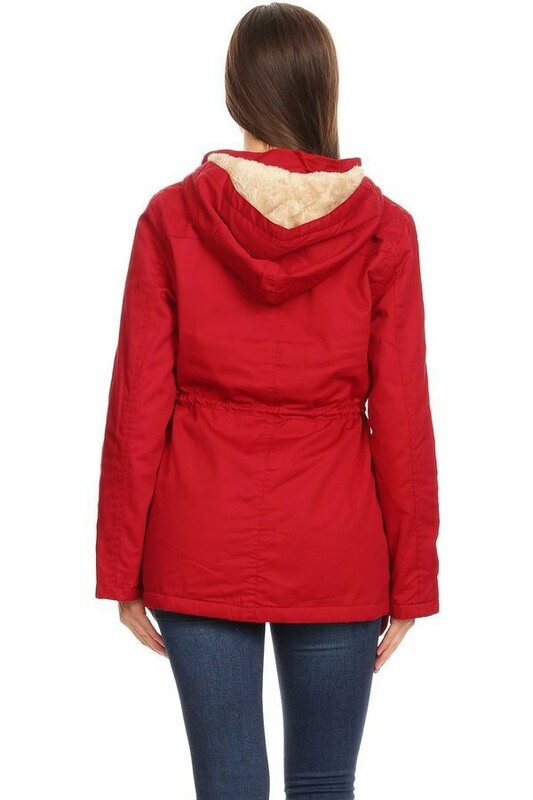 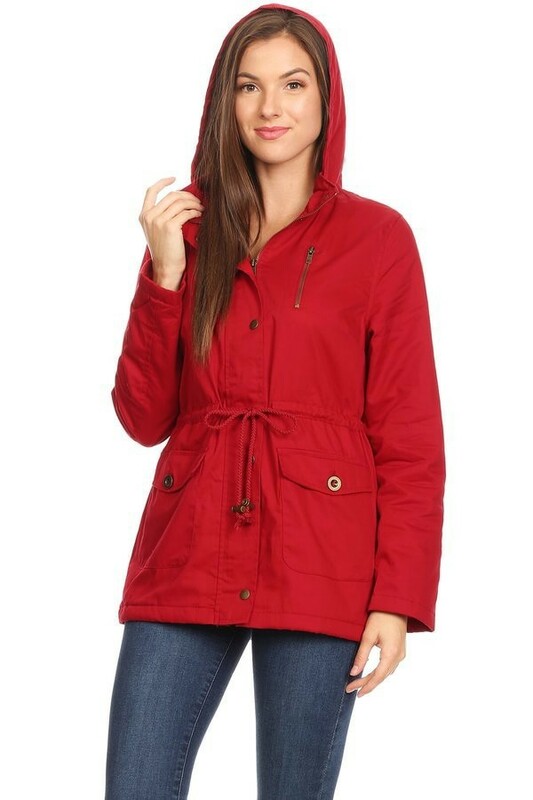 Has zipper, snap fasteners, and button closures and a hood with fur trim. 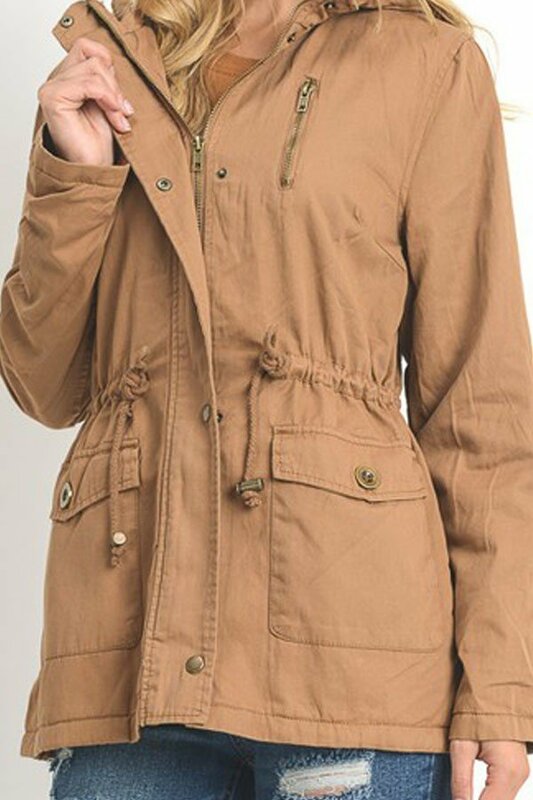 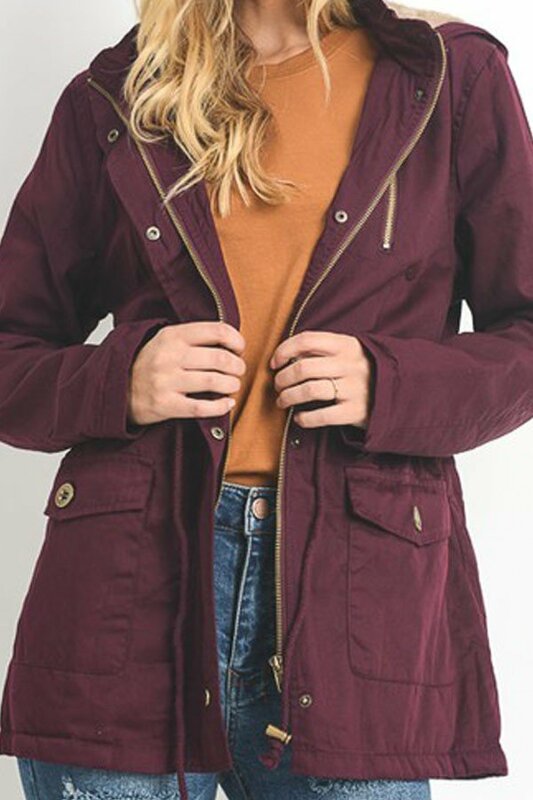 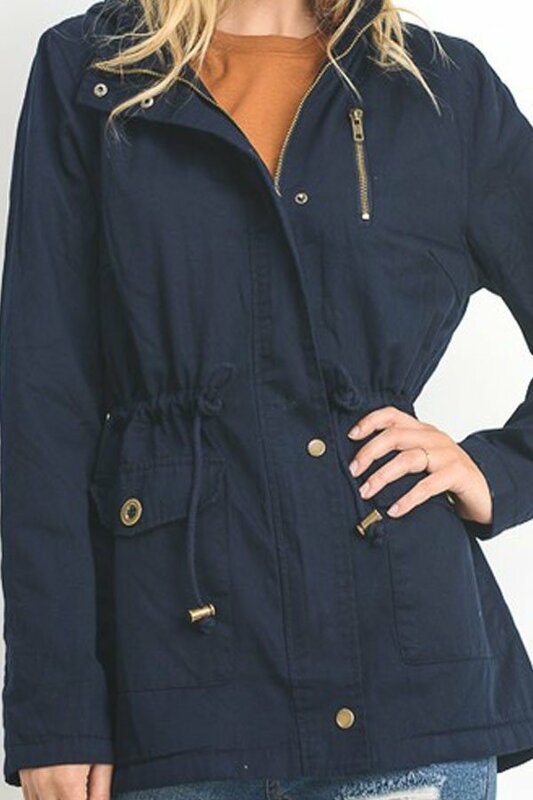 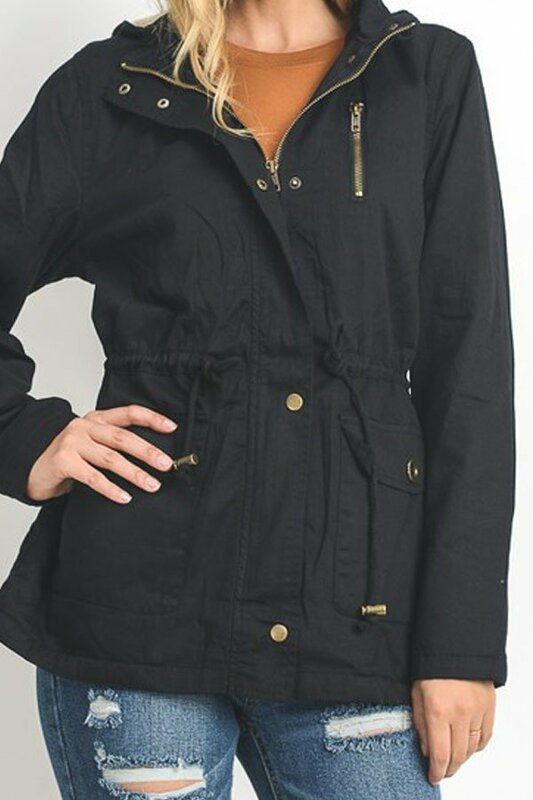 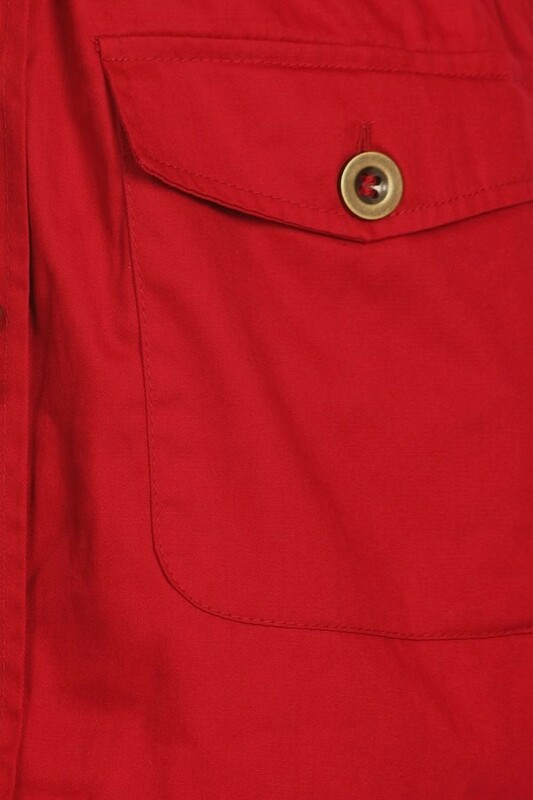 Has drawstring tie at waist, long sleeves, and front pockets.